OTTAWA — Aboriginal inmates in Canada make up too high a percentage of Canada’s prison population and tend to get harsher sentences and less programming, a report from the country’s prison watchdog said Friday. Prison watchdog sounds alarm over state of native prisoners OTTAWA – Canada’s prison watchdog is sounding the alarm over the plight of aboriginal prisoners, warning that without urgent action the situation will soon become a crisis. Howard Sapers, the correctional investigator of Canada, released a progress report Friday on aboriginals in the federal corrections system. It states bluntly that the federal government has failed to live up to many of its commitments on improving the system. The report says in 2008, 19.6 per cent of federal inmates were aboriginal, although they make up just four per cent of the Canadian adult population. That number grew by nearly 20 per cent over the previous decade.The number of aboriginal women in jail soared an alarming 131 per cent in that decade, and one in three women now in federal prisons in Canada is aboriginal. Sapers’ office only has jurisdiction for federal prisons. More than 70 per cent of inmates in Manitoba are in provincial facilities. Statistics Canada reports 66 per cent of Manitoba inmates on remand and 69 per cent in sentenced custody are aboriginal.The OCI report also notes aboriginal offenders are less likely than non-aboriginal offenders to be granted parole, more likely to be in segregation, more likely to have been in prison before, are classified as higher risk and are more likely to reoffend after they are released. The statistics, says the report, are a sign of the corrections’ service failure to ensure aboriginal prisoners are getting the help they need. Aboriginals are severely overrepresented in federal jails: they account for 17.3 per cent of inmates but make up only four per cent of the Canadian adult population Predictions are that the numbers will go on as they have over the past decade – 131 per cent in the case of aboriginal women. “Previous attempts to reduce the gap in outcomes between aboriginal and non-aboriginal offenders have largely failed,” wrote Michelle Mann, the independent researcher who prepared the report. The report comes at a time when the Conservatives are tightening sentencing and parole laws, acknowledging that incarceration rates will rise. NDP Public Safety critic Don Davies called the report an indictment of the Conservative approach. “I’d rather that they get tough on results for a change, instead of bringing in bills that are all for show, when actual concrete measures that are needed to improve recidivism … are not taken,” she said. -The government has not provided adequate funding to roll out its various initiatives for aboriginals. Only two per cent of the annual budget goes to programming, although new measures continue to be created. -There is not enough accountability within the CSC to determine whether initiatives are working or being implemented properly. 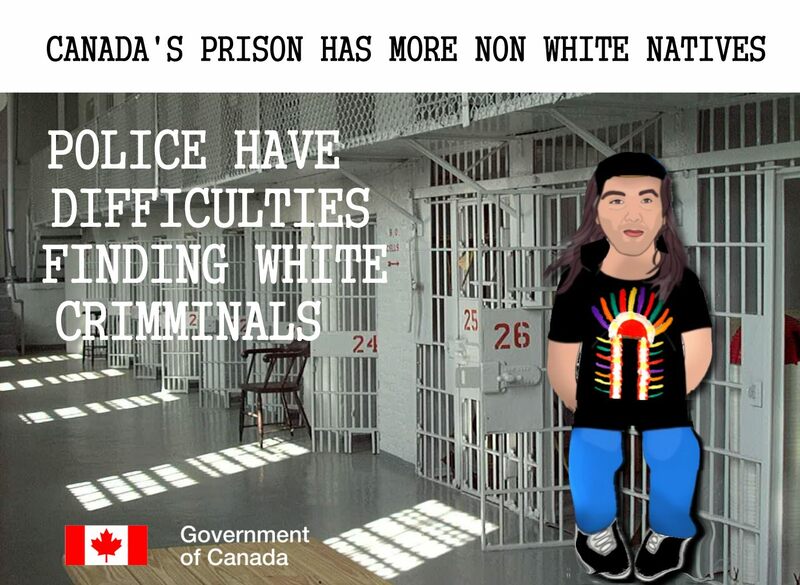 -Aboriginals continue to be overclassified in jails, more often going to maximum security prisons than non-aboriginals. 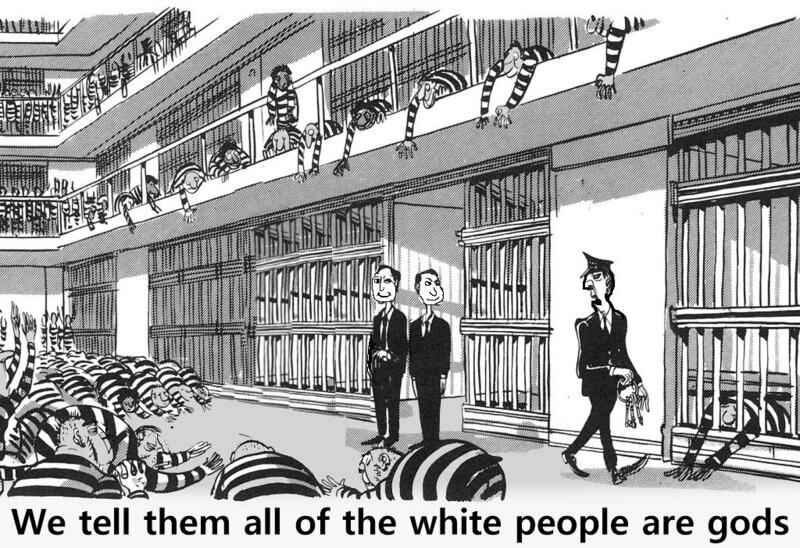 -There is a shortage of aboriginal resources offered to people upon their release from prison. Jeannette Corbiere Lavell, president of the Native Women’s Association of Canada, urged the government to act on the new report. We, as a society, are responsible for the future of our children and we must give them opportunities to make good choices for positive life outcomes,” she said. 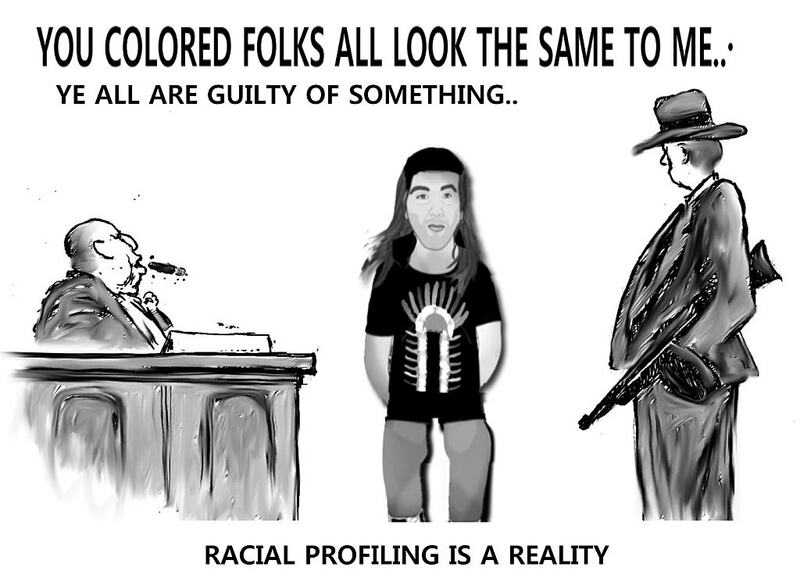 Too often racists, indian Haters “Conservative government’s tough-on-crime agenda with mandatory sentences will only mean even more aboriginals spend more time in jail. “When your only focus is on punishment, you deliberately ignore the social conditions of aboriginal people,” “More jail cells just means bigger con colleges. Tories prison legislation will cost billions Global BC OTTAWA – The Harper government’s prison-sentencing laws will cost Canadians billions of dollars, including an estimated $2 billion for one piece of legislation alone, Public Safety Minister Vic Toews acknowledged Wednesday. Toews, releasing cost estimates for the first time, said the government has a good idea of the overall cost of its aggressive law-and-order agenda, but it does not want to publicly release the numbers. Toews held a media availability to dispute figures contained in a report, to be released next week by the independent parliamentary budget officer, which is expected to peg the cost of one single bill, which came into effect earlier this year, at as much as $10 billion over five years. The controversial piece of legislation would eliminate so-called two-for-one credits, in which offenders are given sentencing reductions to compensate for time they spent in difficult pre-sentencing custody. It is one of several pieces of legislation designed to put more people in prison and keep them there longer. Liberal public safety Mark Holland asked Page to look at the costs of the government’s sentencing bills, but the office focused on the two-for-one credit. Other Conservative promises include imposing mandatory incarceration for drug-related crimes and ending automatic statutory release after serving two-thirds of a sentence. Toews said the government is willing to pay whatever it costs. His $2-billion estimate for the elimination of the two-for-one credit is a five-year prediction, he said. He added that the government has no immediate plans to build new prisons, but will renovate existing ones and rely more on double-bunking prisoners. And I am not convinced that our too often rather incompetent, racist , cost ineffective national police, security forces, RCMP included now are capable of dealing with the Muslims terrorists especially since they clearly cannot speak Russian or Arabic or any other foreign languages for the most part still.